India’s leading Distributor-Wholesaler, Exporter, Supplier, Importer, Manufacturer and Trader for raw material from Burgess Pigment, IMERYS Kaolia Burgess No-30, and Polestar 450. Description:- Calcined Clay is used in PVC cable compounds to improve the electrical performance in low and medium voltage formulations. 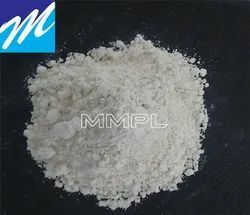 It is normally used at a loading of 10-15 phr and in combination with calcium carbonate at much higher loadings. The chemical activity of the Calcined Clay immobilises the free radicals within the PVC compound, contributing improved electrical resistance. Looking for China Clay - Calcined Clay ?